Model T Ford Forum: 1913 T Town Car - how many still exist and when will l get one ?? 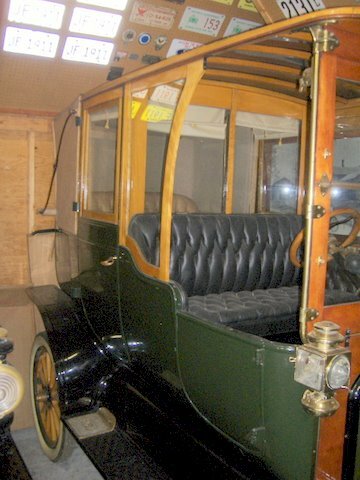 1913 T Town Car - how many still exist and when will l get one ?? 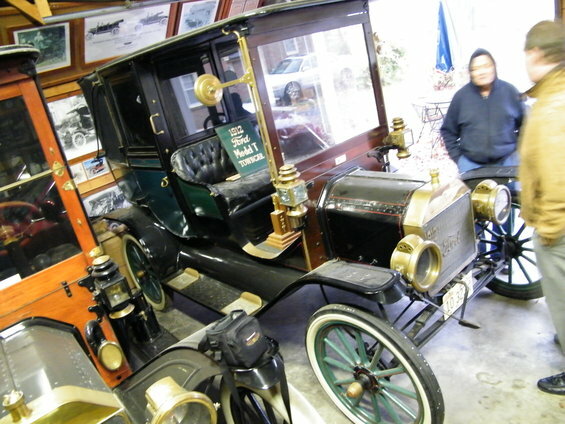 Model T Ford Forum: Forum 2013: 1913 T Town Car - how many still exist and when will l get one ?? I guess that the heading says it all, of the 1415 odd Town cars made in 1913, how many actually still exist ? 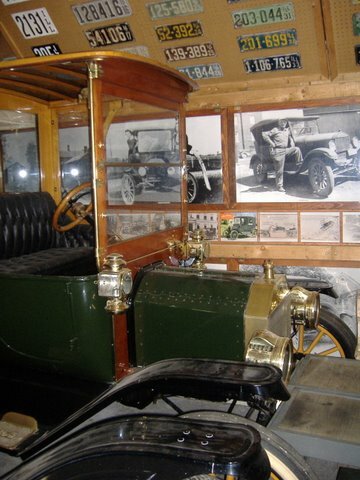 I would dearly love to complete my 1913 collection of 3 body styles, but how will l find an original Town Car?? Merry Christmas or Happy Holidays to you all. I sincerely hope you find one! Patience and perseverance. Neither of which I possess. David,just call Jim Finney and bring your check book! A very interesting question. Ignoring the year 1913, how many original town cars of all years actually survive? Does anybody have a photo of these rare beauties? Dam, I'm in the wrong job Dave, might need to send the better half back to full time woollies so I can fulfil a plan and dream of a TOWN CAR!! Cheers and a merry Christmas. Frank. Jim Finney does not have a '13 town car as far as I know. He's got two 1912 town cars, one 1914, a 1915, and a 1917. And a heck of a lot more nice brass T's. Here's Jim with one of the '12 Town cars (right) and a '14 (left). It was 2 degrees that day. Rioyce, I've never had the good fortune to meet Jim or visit his collection. I did think that this one was a 1913. Assuming you are right then it is a '14. Forget about the towncar this Christmas and buy that nice rebuilt Gemsa engine from Mark Chaffin. That will make Roses Tudor get up and go! I used to have a couple of them out in the shed on the back 40. Shed fell down in 1956 but there may still be some stuff under the rubble. I'll check and if I find one, I'll send it to you. Merry Christmas. Terry - that one is a '14. It has incorrect brass lamps on it. Wood parts except the firewall should be painted. I would love to own it. I heard that that car was a nice original car until a previous owner "restored" it and tried to make it pretty. Hey thanks for the comments, it seems that there may very well be a lot of us after the same things, Town Cars, come taxi's, up market middle class limo's, what ever you think of them, they're still a fascinating "T" hing. Merry Xmas/Holidays, did you T drive on Xmas day, we did the Ice Cream shop trip .... damn thing was closed, oh well, great drive anyway. Yes Dave, a nice hour long drive to burn the smell off a new exhaust system! David - Good try, but you're not fooln' THIS ol' Model "T" Grandpa! You knew that ice cream shop was closed,......it's just that a trip in the "T" for ice cream was the only excuse you could think of on the spur of the moment for a drive in the "T"! Harold, you may very well be spot on, l had a sneaking suspicion that it would be closed on Christmas day and yes a drive was in order, it seems that family members who have seen our cars dived at the chance for a small ( yes about an hour long ) drive, the ice cream shop would have been the "icing" on the cake, BUT it was a perfect T driving day, heck l might even do it again today..... Ice Cream/coffee/burger at McDonalds anyone ?? ?